← Sunday’s Wisdom #180: Is Belief Blind? So, both Gotham and Agents of Shield aired this week, both of them hit hard and built up the suspense as they finally drive us headlong towards their respective season finales. The stakes are high, the explosions are big, the characters are driven, and the fallout is going to be huge. What’s the only thing worse than a raging madman? A genius madman, with just enough left in the way of rational thinking to take the power of his madness and apply it more efficiently. Jerome was the former, and Jeremiah is now the latter. One show. Two Jokers. Take your pick for which one is more insane. Jerome’s “followers,” all those Joker-wannabes, are having a funeral of sorts for him, when a girl in a grey harlequin costume (oh, Jeremiah comes with his own version of Harley Quinn too!) crashes the party and plays some taped instructions from “Jerome.” First order: dig him up. Which they do with mad glee. Next up: Gordon is at the GCPD, wishing he could just let Lee go, but he chooses to be bound by the law. He has enough dirty laundry to live with, and refuses to break the law just because he wants to. That burden gets put on hold, though, as as a tape “from Jerome” is delivered just in time to tell Gordon that his acolytes are going to be having a party inside the precinct. So, the prisoners get transferred out, the cops arm up… but Gordon’s plan is to give way quickly, let them have their party while the cops cordon off the area and let them wear themselves out before tear-gassing them and subduing them all at once. Good plan, goes pretty smoothly, and it allows Gordon and others to interrogate someone unseen, to figure out what all of this is supposed to distract them from. That last turns out to be the murder of Bruce and Jeremiah, so Gordon calls Alfred. The butler arms up and both men are heading to Jeremiah’s underground maze, where both would-be victims are testing their new generator. Alfred is immediately waylaid before he even gets to the car, by several enemies. We don’t see what happens, but we see lots of blood and the trail of a body being dragged away. In the middle of the chaos, Riddler arrives to rescue Lee. The raving party of madmen inside is a bit of a severe complication, but he adapts. He sees what the cops are doing, sees that Lee was accidentally let behind, grabs a clown costume to sneak in, and brings a couple gas masks for him and Lee so they can sneak back out. She even kisses him as they hide under the stairs when the cops storm the place. And voila! Scot-free escape! Butch and Penguin have been hiding out since the debacle at the bank, and how they managed to escape, I have no idea. But their partnership is under considerable strain, and all they manage to accomplish is grabbing a clown goon and torturing him for information. Still, at this point in the game, it’s best not to count them out. At all. Bruce is just smiling over Jeremiah’s new generator, which he completed with the help of Wayne Enterprises, when the crisis hits. As the fiasco plays towards its conclusion outside, Bruce has to inform Jeremiah of it, after Alfred informs him. Then Jeremiah confesses the bit about the insanity gas left behind by his brother, revealing that his sanity is under threat by his brother’s ghost. So Bruce takes a bit of a chance and takes Jeremiah to see Jerome’s grave. Finding it empty, Jeremiah supposedly goes nuts, seeing Jerome everywhere, even believing that he’s killed Bruce and is posing as him. But that all is just song and dance, a farce to draw things out and display to Jerome’s followers just how pitiful the first Joker’s madness was. No, Jeremiah isn’t haunted by Jerome’s ghost at all. He’s just gone insane, gone pasty-white, and gone to great lengths to recruit Jerome’s acolytes, subdue Bruce, and kill Gordon. That last involves luring Gordon to the heart of the maze, delaying him with Echo and a movie, revealing himself on film, all to time it, so precisely, to coincide with the generator going critical in a massive explosion. Gordon is left alone in the maze, but he grabs blueprints and gets out fast the same way Jeremiah showed him the first time. Of course we know he makes it, but that was certainly a pretty close call, being that close to such a big explosion that’s seen all across Gotham. Jeremiah flat-out wins this round, save for the survival of some of his targets. And he’s just getting started. He invades Wayne Enterprises, welcomed in and taking the guards by surprise, to find one or two dozen more generators/bombs. He intends to carry out Jerome’s plans in a “sane” manner, meaning less meandering madness, and more direct destruction. He intends to flat-out burn Gotham. So, criminal intrigue continues, Jeremiah rises at the head of Jerome’s old cult to threaten all the city, Alfred’s missing and presumed bleeding very badly, Gordon’s missing and presumed dead (not to mention weighed down by his mistakes), Bruce is in enemy hands, as are a couple dozen very big bombs, and the GCPD is literally just beginning to clean up the mess that’s already hit them. The finale’s coming really soon, right? And it all falls ever further into place. Talbot is completely fused with the gravitonium, and so he wields its power perfectly. The voices in his head are under his control as well, and he’s not rambling or anything like he was. But just because the gaps in his mind are filled in, that doesn’t mean it isn’t still filled with cracks. A terrible amount of power is in the hands of a man with all the faults of Talbot when we first met him – stubborn, prideful, narrow-minded – with none of his rational restraints. Result: he storms the ship, squashes people like bugs, demands that everyone kneel before his absolute power, etc. It’s brutal, but it seems effective… at first. Kovus and his marauders were all defiance until one of them was turned into a pretzel, and suddenly they became submissive and even helpful. Beware enemies who submit too easily, for they are probably just shifting tactics. Kovus and his ilk are filled with guile, after all, and for all that Kovus talked about dying instead of betraying the Confederacy, he certainly knew Coulson was getting information from Hale at that very moment. When Talbot demanded an audience with all six members of the Confederacy, Kovus helped him dress the part, and then was clearly of a like mind with a certain opportunist on the council, and he quickly and skillfully turned Talbot against Coulson as well, so… yeah, quick and easy submission are things to beware of, not glory in. Hale and Coulson have an odd sort of bonding moment. It’s interesting how blurry the line between friend and enemy can be. Talbot certainly demonstrates the danger of making that line too clear and easy to step over without ever intending to, but as for the leaders of Shield and Hydra, they work well together, I think. Even when Talbot is turning against Coulson, Hale seems to be betraying him but is actually waiting to take her own shot at turning Talbot. It might only have been luck that Coulson survived that moment, the only man that Talbot has thus far given a second chance to, but either way, Hale was smart not to stand next to him. Unfortunately, when she did take her shot, trying to get Talbot to comply a’la his old Hydra programming, it didn’t work, and he killed her without a second thought. Then there’s Talbot’s experience with the Confederacy council. Six members, leaders of various clans. One, the most outspoken against Talbot, gets squished/absorbed, most of the others scurry back home, but Talbot and Kovus have a talk with the Kree representative, the leader of the Kasius family. This is the man whose sons Shield tangled with in the future timeline, the man who, through his son, holds the last of humanity enslaved on their broken home world. Clearly not a man to trust, but Talbot doesn’t know that. All he knows is what Kovus and Kasius tell him, which ties almost directly into the events of Infinity War (just one more week until I see that movie… one more week, one more week…). They refer to Thanos, currently attacking their world at that very moment. The Confederacy never had any intention of helping Earth against him, they just wanted to strip Earth of whatever they wanted, conning Hydra into doing the dirty work for them. Talbot wants to rush back and join the Avengers in battle, but Kasius warns him against that. Even with his great power, Talbot is as much a bug to Thanos as is anyone else. Talbot may fight, but he will lose. …unless (and here’s where the scheming, seducing, beguiling comes in) he gets stronger, and stronger, and stronger. So much stronger, and so very quickly, and there is only one way for that. It’s a long shot and a desperate chance, but the world is fighting for the very survival of the entire universe, so long shots and desperate chances are all in vogue right now. It’s not pretty, and very dangerous, but it has to be done. Which is exactly what a soldier like Talbot will do. Kovus and Kasius have Talbot wrapped around their finger within minutes. They want gravitonium, and Talbot can take every bit of it right out of the planet itself, so they tell him to do so “to save us all.” That’s when Coulson tries to talk him out of it, only to be nearly crushed for it. And hey, it’s not like ripping the gravitonium out of the Earth would do anything, like, say, shattering the planet, right? So, I think we’re getting the picture of what happens now, with one exception: how does the choice to let Coulson live or die happen to make the difference between one scenario or the other? If the imminent threat of absolute destruction weren’t enough, the team is bursting at the seams, on the brink of breaking as completely as the planet they’re trying to save. Fitz and Mack fight with words, Deke tries to confess to Daisy only to be shut down when she talks about Lincoln, Daisy is greeted by an angry Yo-Yo on her return and the two of them fight (I couldn’t help but recall when Daisy said Yo-Yo was her new best friend the first time they fought side by side), stopping only when May fires a shot overhead, Simmons has to dissect a marauder and work on some theoretical miracle cure for Coulson, Mack can barely stand Yo-Yo’s presence until after his fight with Fitz… yeah, the pressure is on, at every level. Oddly enough, this is when they reach space in the newly-retrofitted Zephyr. Enduring great pressure and reaching great heights at the same time. Go figure. 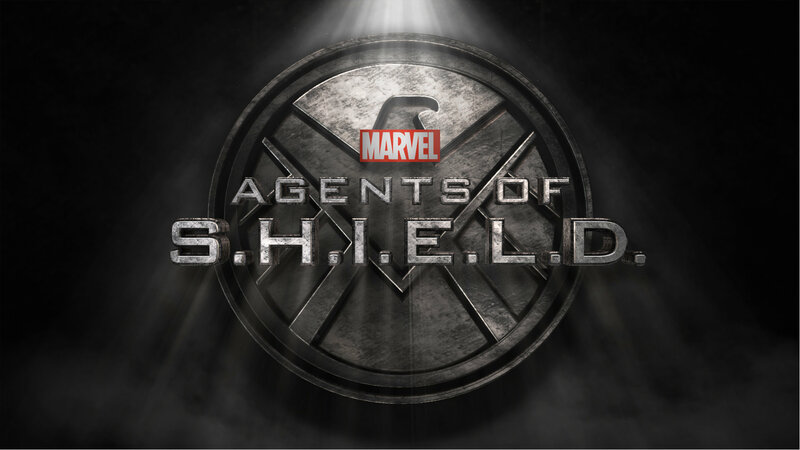 Unfortunately, when May and Daisy (she mows straight through marauders) storm the ship to rescue Coulson and Talbot, they find Talbot has become the villain, they have to surrender as prisoners of war, and Daisy’s best shot barely even touches Talbot, while he subdues her with a flick of his finger. (are we sure he couldn’t do anything against Thanos as is?) Hale is dead, May and Coulson are prisoners, the Zephyr is definitely in hostile territory, Talbot is ready to rip the planet apart to get the power he needs to stop Thanos and “save the world,” and, to top it off, Talbot sends Daisy to Kasius as a gift while she’s unconscious. This entry was posted in This Week on TV and tagged Agents of Shield, Gotham. Bookmark the permalink.